1. Strip Block of all bolt on/bolt in items except water plug. Remove all head studs if equipped, external studs that stick out, and all sensors & senders. We will NOT be held responsible for lost bolt-on items that have to be removed for machining purposes. There will be an additional charge of $50.00 for removal. Degrease block and clean, so there is no dripping oil. 2. 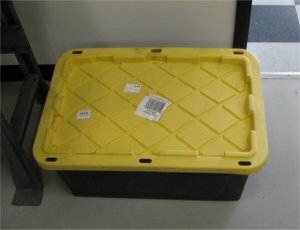 Use a plastic bin or wood box for shipping only. Cardboard will NOT survive. 3. Pack with bubble wrap or foam, not packing popcorn/peanuts, firmly between block and carton with 3 inches on top. 4. Pack more bubble wrap or foam on top so there is no movement when box is sealed shut. 5. Please print and fill out our Block Sleeving Customer Info Form and put in Box. PLEASE DO NOT USE PACKING POPCORN/PEANUTS - they breaks down and doesn't provide any support for the block. They will also get into oil and coolant passages. If this happens we will charge an additional $25.00 Fee. Please insure your package. 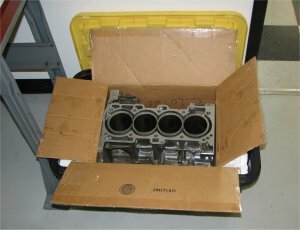 We are NOT responsible for any damage during shipping of your block to our facility. We will insure your block when it leaves our shop.